Bin/Case Topper - Cal-Mil Plastic Products Inc. 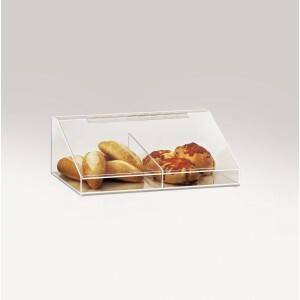 Partner the Bin/Case Topper with the Classic Display Case (P241, P241SS) or use alone. It features a removable divider for greater versatility, as well as a sloped front design for maximum efficiency during self-service.